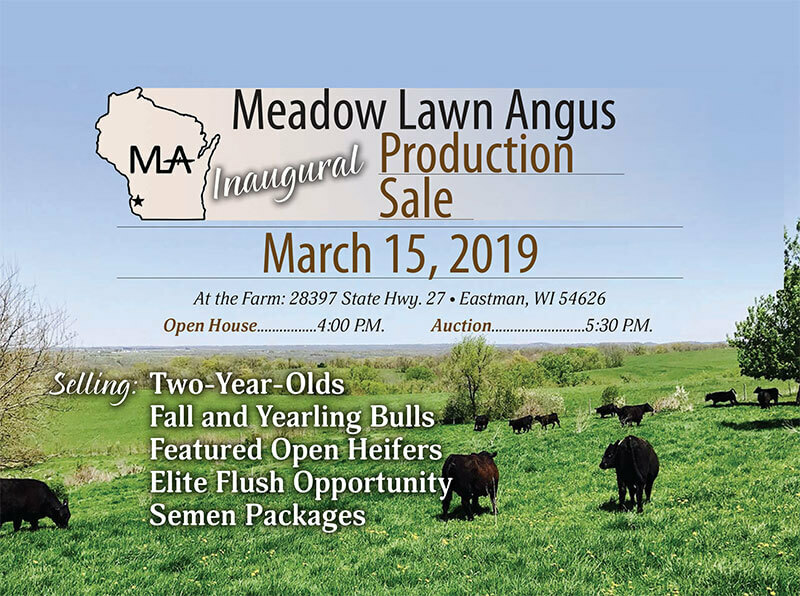 Meadow Lawn Angus is a registered Angus operation located in Eastman, Wisconsin. Owned and operated by the Lenzendorf family, Meadow Lawn Angus got its start with the Angus breed close to six years ago. Although our family has only been in the registered Angus seedstock business for six short years, farming has been a part of our family for over one hundred years. The operation originally started as a dairy farm, and the entire family has been engaged, active, and a true part of what has made the operation a success for all these years. Having always had a passion for the agriculture industry and realizing we still wanted to have cattle around, we decided to make the switch into the registered Angus seedstock business. The upside of the Angus breed, we thought, was that you don’t have to milk them twice a day. We soon learned the upside to be much greater than we could have imagined! When the first calf crop hit the ground, we were hooked - and there has been no looking back since! Meadow Lawn Angus takes pride in not only our top quality Angus genetics, but the relationships made with potential customers within the industry, and we look forward to sharing our experiences with you. We invite you to learn more about us and contact us with any questions or for additional information. We look forward to hearing from you!